[message_box title=”” color=”blue”]Refractive eye surgery is the subspecialty of ophthalmology that treats the refractive defects of the eye: myopia (nearsightedness), hyperopia (farsightedness), and astigmatism. The goal of eye surgery is that the patient no longer needs glasses or contact lenses. There are a variety of surgical techniques to achieve this goal, and success will greatly depend on choosing the proper technique for each patient. Myopia is a refractive defect that prevents proper focus in distant vision, while nearby objects can be seen without difficulty. The eyes of people who suffer from this problem focus the image in front of the retina and not directly upon it, which is why the image is not sharp. Hyperopia is a refractive defect that causes blurry and uncomfortable vision primarily up close, but as of a certain age vision also becomes blurry at a distance. In the case of hyperopia, the image is focused behind the retina and not directly upon it. Astigmatism emerges when the cornea does not have the same curvature on all of its planes. Light passes through several points or planes, causing blurry and distorted vision. Astigmatism is usually present from birth, and can appear in isolation or in association with nearsightedness and farsightedness. Today, most refractive defects are corrected using LASIK, a safe and precise technique for correcting defects like myopia, hyperopia, and astigmatism. The laser remodels the cornea to give it the curvature necessary to properly focus objects on the retina. It is a highly effective technique with very predictable results. There is a limit to how much the laser can correct. In other words, in cases of severe myopia or hyperopia, for example, the laser cannot correct all of the myopia, which is why we opt for other techniques. The same thing happens with patients who, despite not having particularly severe myopia or hyperopia, have corneas with characteristics that dare not suitable for laser surgery. The preferred technique in these cases is the use of implantable collamer lenses (also known as ICL®), where minimally invasive surgery is performed to implant a lens that is specifically designed to correct the refractive defect. Unlike cataract surgery, this lens is implanted without removing the eye’s natural crystalline lens. The implanted lens is intended to be permanent, but can be removed if necessary (for example, if cataract surgery is later required). It is important to understand that refractive surgery is a highly personalized procedure that requires a thorough ophthalmological examination. Not everyone is a good candidate for refractive surgery, and only an ophthalmologist certified in this specialty can advise you on this matter. Dr. Nieto works with the best refractive surgery specialists, who will advise you on what the best choice for your particular case. 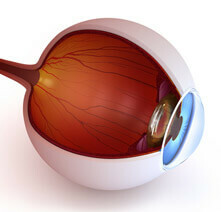 [space height=”20″] [toggle_box] [toggle_item title=”The day of your surgery and recovery”] In most cases, refractive eye surgery is performed under topical anesthesia. This means that anesthesia is only applied in the form of eyedrops. There is always an anesthesiologist present, and a light sedative will always be administered via IV for the patient’s comfort. Eye surgery usually lasts between 10 and 15 minutes per eye; afterwards, the patient will remain in the clinic for about 45 minutes. Recovery following refractive eye surgery is fast, and complete visual recovery usually occurs by the second or third day after surgery. The patient must avoid physical activity for one week and aquatic activities for two weeks.